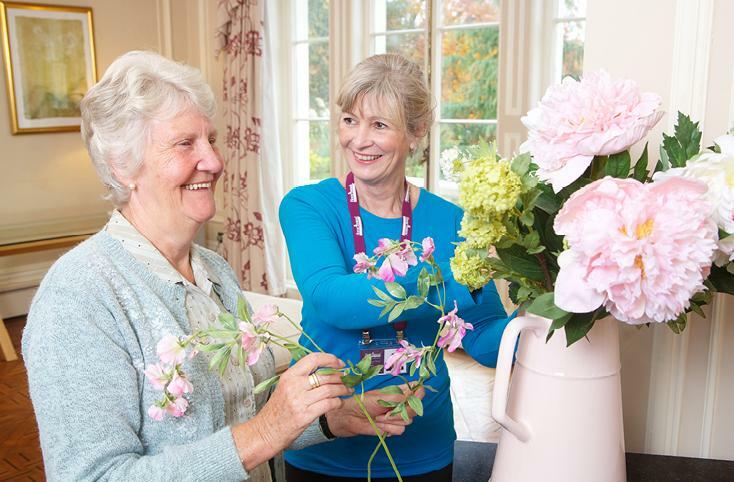 This week we had a group of new CAREGivers join us for our monthly introduction programme. 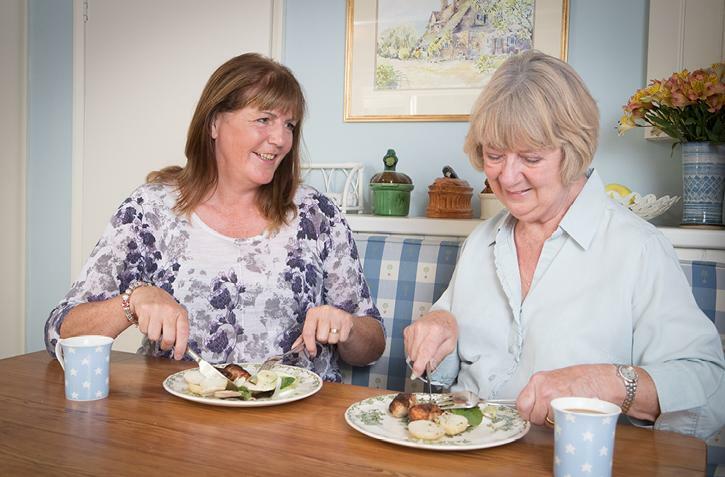 The course which lastS for 3 days covers everything required to prepare our CAREGivers for supporting our elderly clients in their own homes. 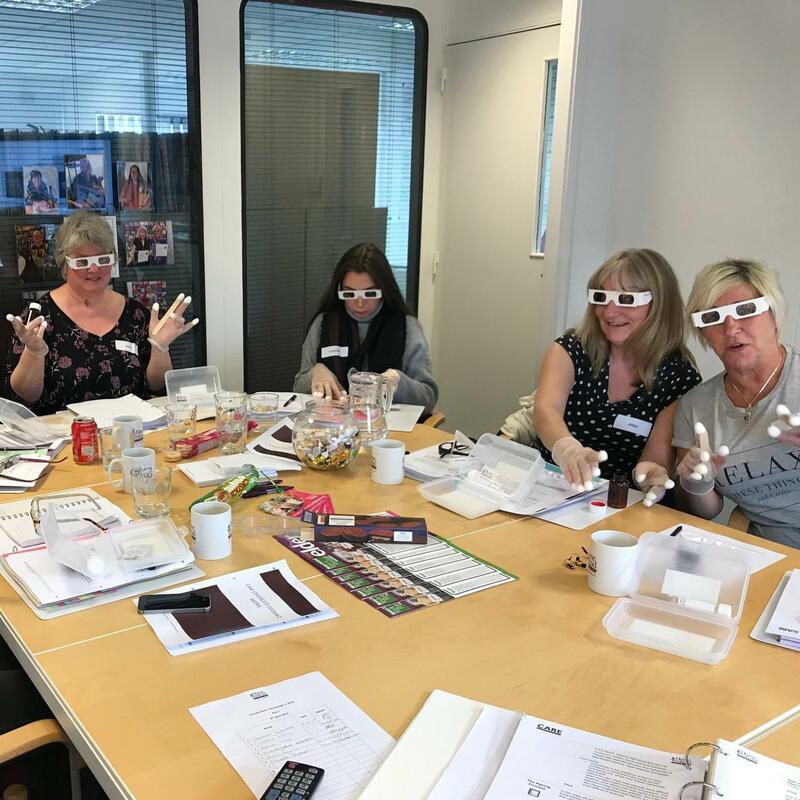 One highlight of the course is using our sensitivity kit, designed to give CAREGivers an indication of what it might be like to live with some of the conditions our clients have to deal with on a daily basis. As well as being incredibly informative, it also makes for a funny photo opportunity which, obviously, we can't refuse! 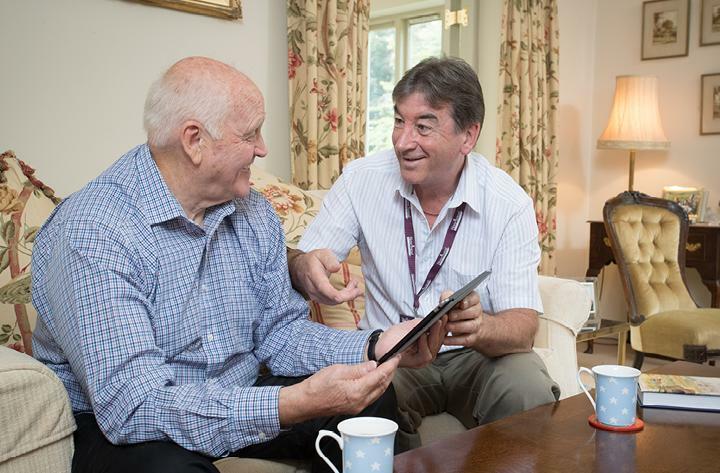 Interested in joining us for our next CAREGiver Introduction programme? Give us a call on 01904 690884 to find out more information. The weather in York this week has been glorious, spring has certainly sprung. 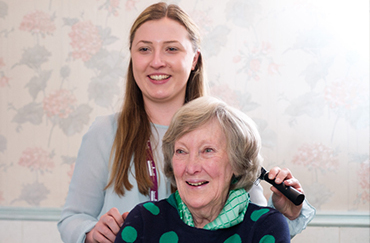 Here at Home Instead Senior Care York & Ryedale, we encourage our CAREGivers to offer to take clients out or even for just a quick stroll around the block to make the most of the sunshine. 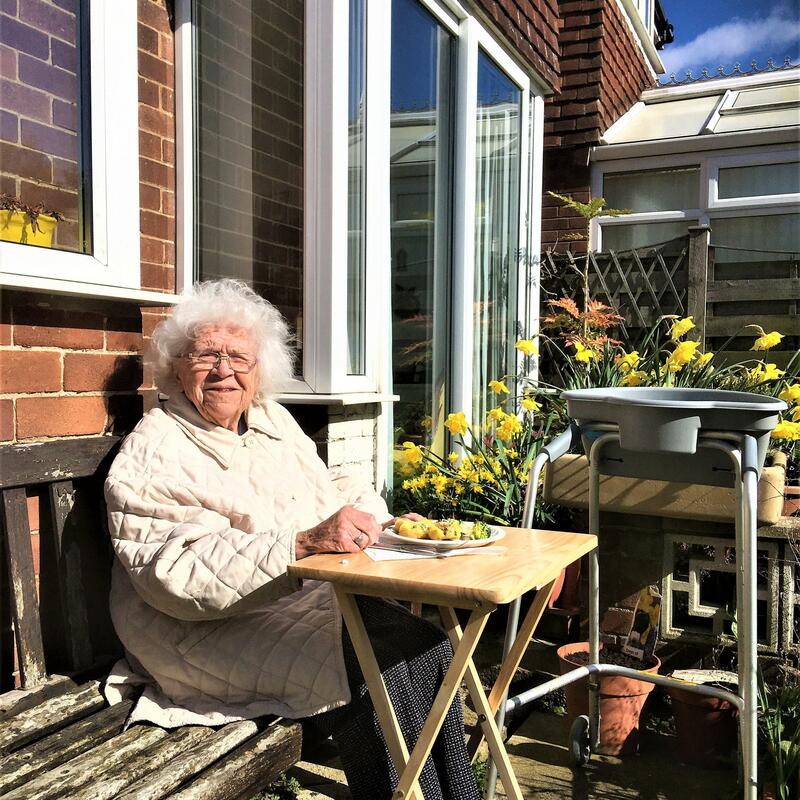 CAREGiver Barbara sent us this lovely photo of her client Elisabeth enjoying a spot of lunch in her garden earlier on this week. 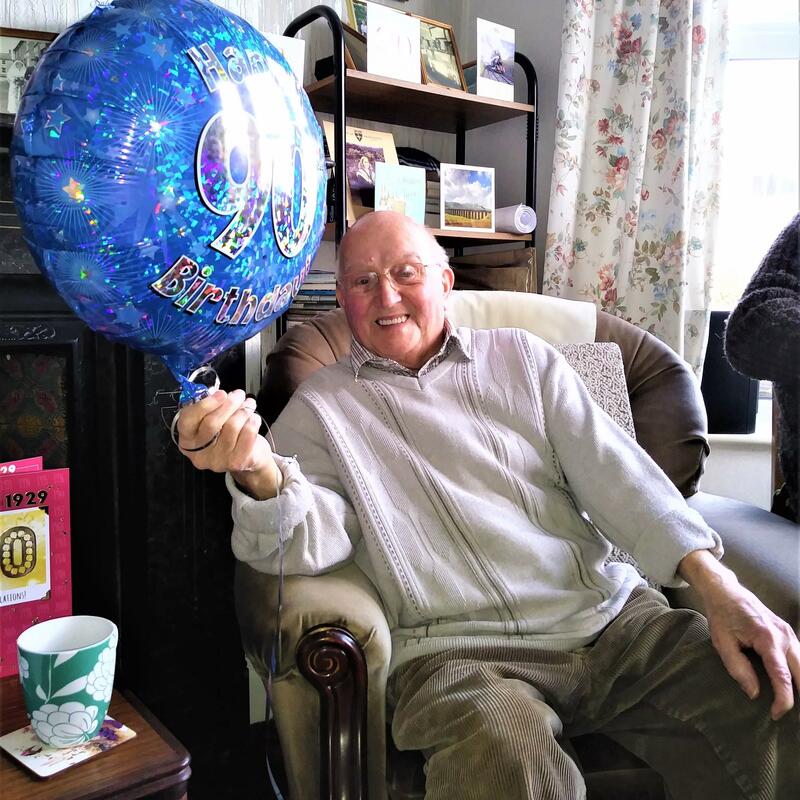 One of Home Instead Senior Care York & Ryedale's clients, George, celebrated his 90th birthday over the weekend. 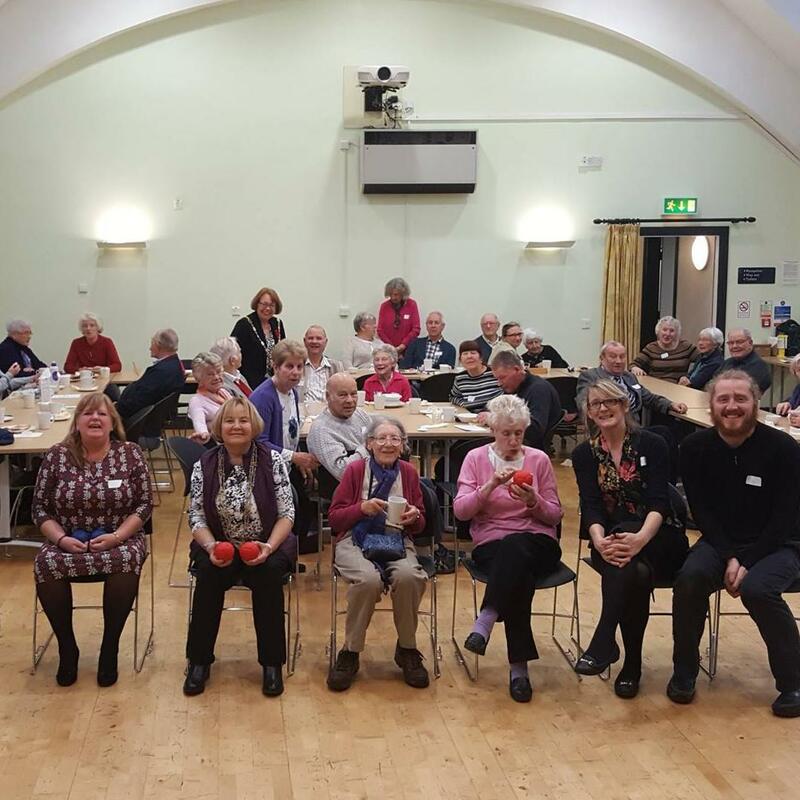 Home Instead York's CAREGiver Alison was invited to go along to the birthday celebrations thrown by George's family. While at the party, CAREGiver Alison took these lovely photos of George enjoying his special day. 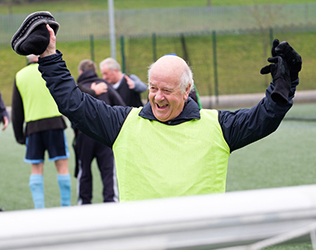 Happy Birthday George, we hope you had a fantastic one! 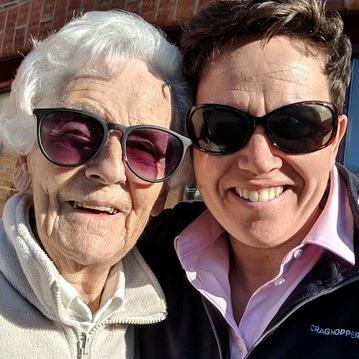 Client of ours Joyce was making the most of the sunshine this week and headed out with her CAREGiver Julia. Together they visited The Rocking Horse Shop in Fangfoss, Joyce loved it as she remembered going there with her grandchildren a few years ago! Joyce thoroughly enjoyed the drive out, but had a bit of trouble with glare from the sun so she borrowed a pair of Julia's sunnies!